Old Mount Barker Road extends behind the unusual shaped site, which has both country settings and city proximity. An existing home situated on the steep block was demolished to allow for two new townhouses with city views to the north and sea views to the west. The two-storey design consists of the lower entry level with sleeping zones nestled into the site and living zones above, including an outdoor kitchen and entertaining area. A simple stacked rectilinear box design is mirrored in footprint to its neighbour. 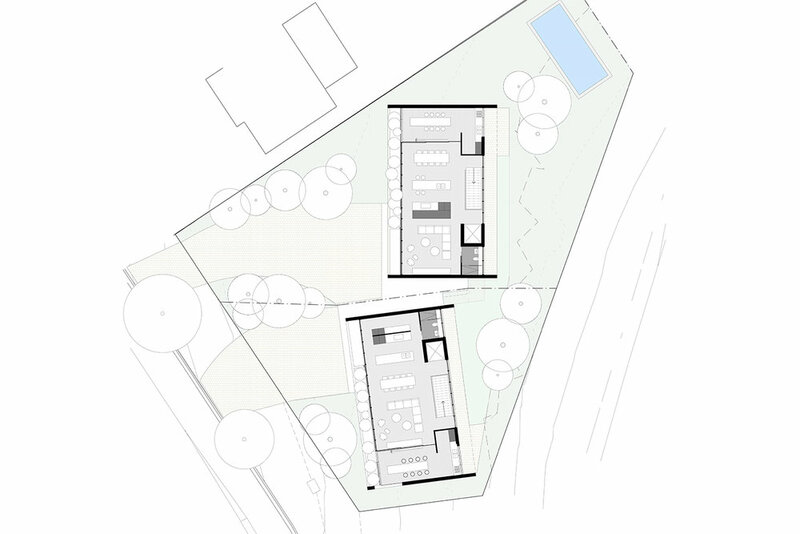 Each home is slightly skewed to address the angled site boundaries, and for visual separation and privacy.